I cannot begin to explain how much I love The Body Shop. They literally have the best scented products and my skin absolutely loves them. The Fuji Green Tea Range is what I am currently loving at the moment. It has quite a particular scent, a natural yet masculine scent( I really don't know how to put this). While my sister is not fond of it I'm quite a huge. Lets start off with the fact that this soap with such a wonderful aroma. It is very natural and refreshing. The soap is very gentle and exfoliates the skin. I usually use it together with the scrub and the body butter and my skin always feels so smooth. It's almost as as though vagaries are moonwalking on my skin. This is something else that I absolutely adore. I guess it's because I don't usually use body scrubs. I apply the body scrub, leave it on for a couple of minutes and the proceed in rinsing it off. It's magical but there's not really anything that makes it different from any other scrub but why would you change something that works? It has a wonderful strong fragrance and leaves my skin feeling hydrated. I'm happy. 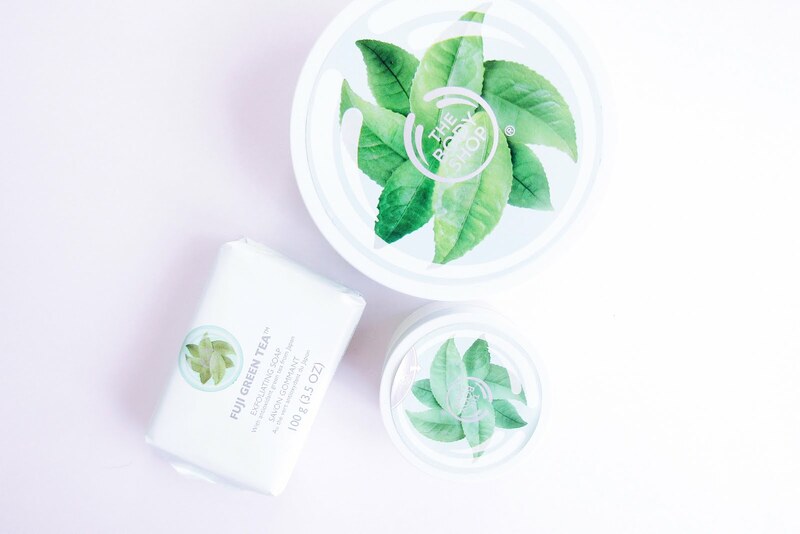 I struggle with finding the perfect body butter because my skin is quite dry. The butter states that it has intense hydration properties for all skin types and I it true. It has quite a thick formula and prevents the skin from drying out. And we can't forget about the amazing fragrance now can we? Overall I'm happy with the Fuji Green Tea range. It has a very uplifting scent and treats the skin well. There are quite a few products from this range and they really work well together. I would give it a 8/10. Have you tried the Fuji Green Tea range? I absolutely adore drinking green tea so I always sniff these products when I'm in the Body Shop but I've never actually tried them! I'm tempted by the body butter as I have dry skin too!